We welcome your participation and you don't need to make a registration. We, however, would like to know how many people will be attend the symposium, because we will prepare a lunch box for speaker and participant. If you are thinking to attend the meeting as a audience, please let us know by e-mail (c2c2012@lambda.phys.tohoku.ac.jp). This meeting will be a satellite meeting of HYP2012 "XI international Conference on Hypernulcear and Strange Particle Physics." Meeting place will be the same with HYP2012. The symposium is carried out under the JSPS core-to-core program "Establishing an International Collaboration Platform for Strangeness Nuclear Physics by Electron Beams" which was initiated by late Prof. Osamu Hashimoto to establish a worldwide research network for strangeness nuclear physics. 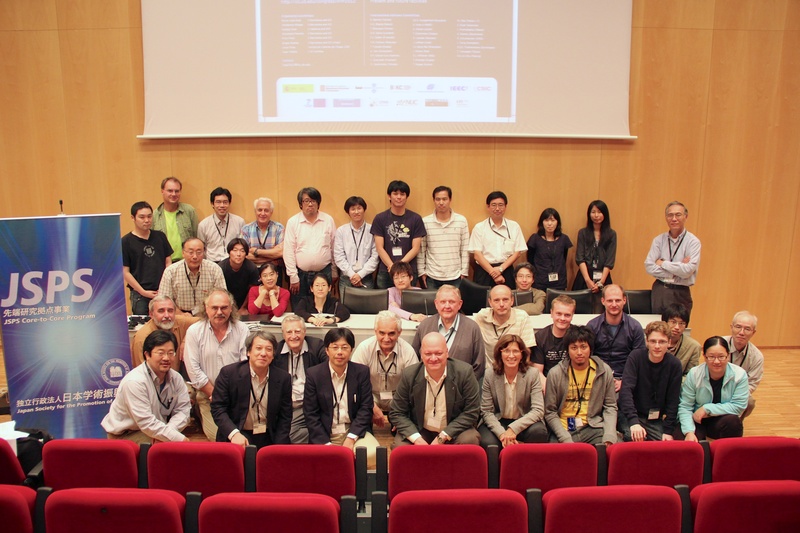 The symposium aims to discuss the current status and future prospects of strangeness and hadron physics with electron beams at Jefferson Lab, MAMI-Mainz, ELPH-Tohoku and hadron beams at J-PARC, GSI, DAFNE and other facilities. Those who want to participate the symposium or who have inquiry, please contact to Nue Nakamura (c2c2012@lambda.phys.tohoku.ac.jp). We are looking forward to seeing you at Barcelona. JSPS core-to-core program "Establishing an International Collaboration Platform for Strangeness Nuclear Physics by Electron Beams."